A naked woman is perched on the edge of Clifton Suspension Bridge weeping into a mobile phone. Clinical psychologist Joseph O'Loughlin is only feet away, desperately trying to talk her down. She whispers, 'you don't understand,' and jumps. Later, Joe has a visitor - the woman's teenage daughter, a runaway from boarding school. She refuses to believe that her mother would have jumped off the bridge - not only would she not commit suicide, she is terrified of heights. Joe wants to believe her, but what would drive a woman to such a desperate act? Whose voice? What evil? 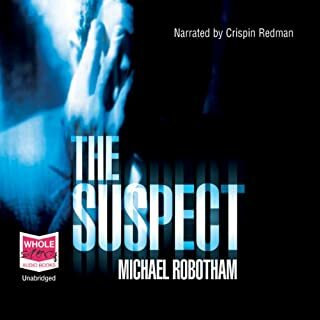 The first Michael Robotham I've read/listened to. It was fine. But not really my cup of tea. The flawed hero theme is getting really boring in crime thrillers. The story wasn't too bad, the graphic details towards children wasn't appreciated. Couldn't tell the difference with 2 of the main characters, so the narrator didn't do a very good job . Will try one more book with this author and if it isn't an improvement it will be 👎 thumbs down for me. At first I thought this story was going to follow a Hollywood plot - that's an unkind thing to say I know. But it soon become obvious this story was in a league of its own and I couldn't wait for every chance to listen to it. On the edge of your seat is a cliché, but it applies to this chilling and perplexing story. 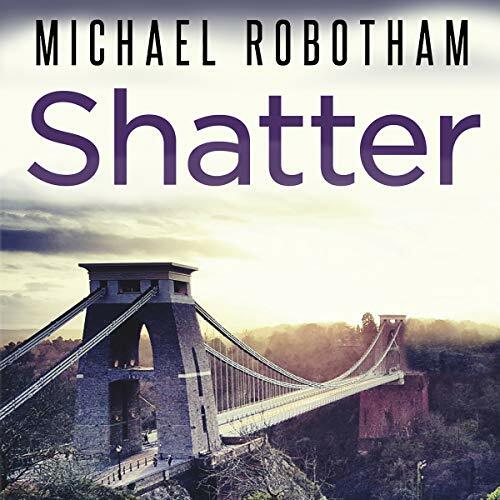 Shatter is an excellent book by Michael Robotham - I highly recommend it! Wow, what is missing from this book ?? Anything ? What else could there be ? What a story. Now to find his next book!!! 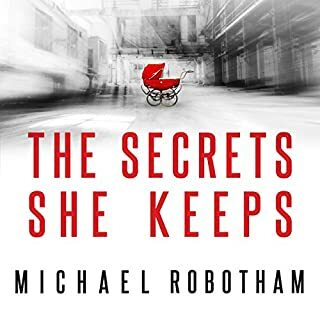 Michael Robotham rides high in the ranks of elite crime writers with this alluring, but at times terrifying plot, the product of an exceptionally profound mind. Sean Barrett as the narrator is brilliant with his portrayal of a host of diverse characters. These presenters are to be congratulated. Again another brilliant read. Every single time i pick this mans books up i can't put it down. The anguish of the characters leaps out of the writing and laves you shattered till the very end. Extracting fear and desperate hope for a bearable conclusion. Reading this book requires courage. What did it demeans of it’s creator? Another gripping story in the series. Perhaps not as edge of the seat as books 1 and 2 but a great read just the same. 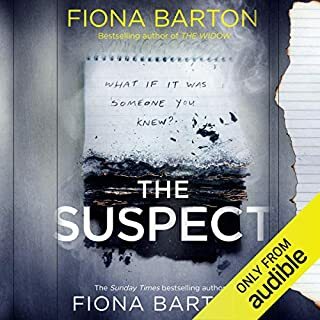 Possibly the best audiobook I have heard. This book grabbed me from start to finish. 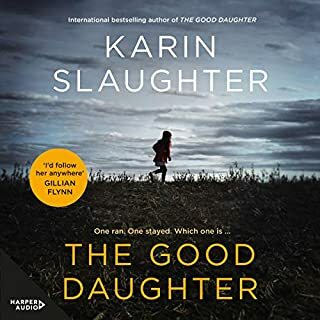 A gripping and constantly intriguing story line, and characters who are totally believable, brought to vivid life by Sean Barrett's narration. I now intend to work my way through all the Robotham titles available. 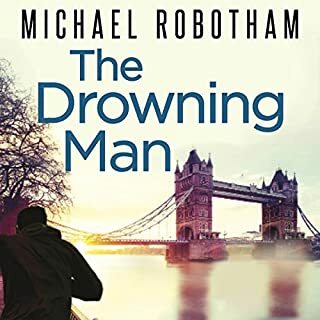 I love Michael Rowbotham's books but for me this was not his best. I kept wondering why Joe was being so dense and not considering he would have been a target of the killer, not taking any precautions with his wife or children - it was quite frustrating. There also too much pycho babble and too much unnecessary detail making the listen a bit tedious. I think I prefer the books where Ruiz has a bigger presence. I was looking forward to this. I enjoyed his previous books but unfortunately this one, although often enjoyable was frustrating. The main character often does things that are slightly incredulous and it is a little frustratingly predictable. I would write more but don't want to ruin the story for others. 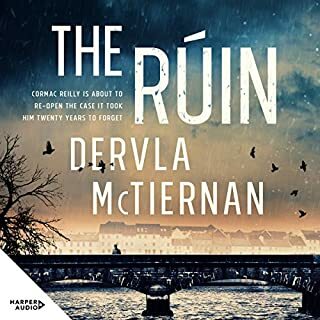 Where does Shatter rank among all the audiobooks you’ve listened to so far? One of the best. I just wanted to keep on going. Especially good on the long drive. All books that I have listened to by Sean Barrett have been outstanding. It took me a while to forget Harry Hole but then I was hooked. Would you listen to Shatter again? Why? What made the experience of listening to Shatter the most enjoyable? Getting a view of English People living in small communities and their daily lives. Dr. Joe, I have really enjoyed learning about his character, his strengths and weaknesses and his compassion for people in general and his family. When Charlie showed how strong she was, even as an innocent victim. I found that I was disturbed on so many levels by the actions and personality of the villain. I have know people with some of his traits and his ability to inflict mental cruelty upon others and now look at those people with new insightful eyes. Holy crap! This is the first I had heard of this author and I am very impressed. 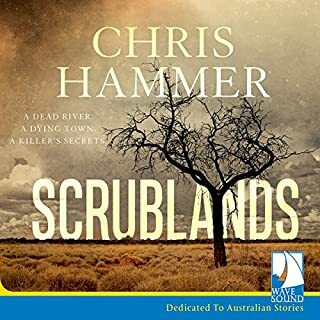 The story has well rounded characters and moves along at a gripping pace. I listened to it more quickly than I've listened to other books, mainly because I was so drawn in to the story. It certainly isn't a 'relax before you go to sleep' story! Of you enjoy Peter James' books I'm sure you'll like this. I would thoroughly recommend this book and I shall be downloading more by this author.. 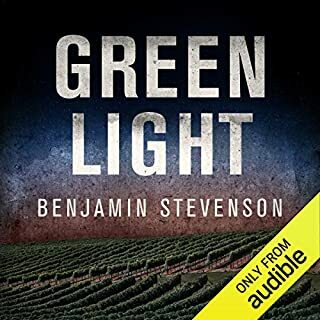 I clicked on the preview by chance and then risked the credit and found myself drawn into one of the best audio books I've ever downloaded. The plot and character development are flawless and Sean Barrett's narration is top-notch! Written in the first-person, the book alternates between 'good' and 'bad' and the style is both captivating and addictive. The book subtly digs its claws in at the beginning and then simply refuses to let you go. I got to a point where I simply could not stop listening until it was finished. A Word of Warning! - Definitely not for the faint-hearted. The book is shocking at times (our 'bad guy' is really bad!) and some of the dialogue had me gasping out loud. How can someone be so cruel? 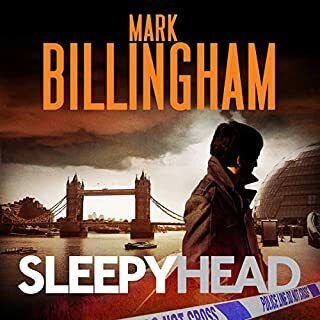 Warnings aside, this is a well polished, superbly narrated and credible story that is well worth a listen and I for one will be downloading some more from the same author / narrator. 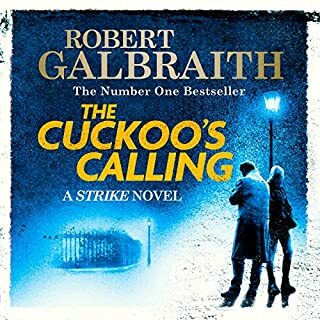 I listen to a new audio book every month usually whilst taking my dogs on a 4 mile evening walk. Some books allow the dogs to have a full 4 miles, some allow them to come out of the kennel, relieve themselves and go back in and occasionally a book takes them to 6 mile doggie heaven......this is one of them. Michelle Paver - Dark Matter. brilliant, brooding, haunting and tiring as i couldn't stop walking!! Michael Robotham - Shatter. Brilliant, as good as woodcutter and before the poison but not quite as haunting as Dark Matter. Finally, something completely different- Locked on by Tom Clancy, brilliantly read by Lou Diamond Phillips, the talking book equivalent of a Bourne movie!!! If you only read one then this is THE one. Could not stop listening... bedtime, care, washing up, totally enthralled. 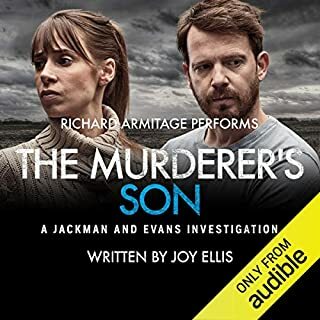 When are we going to get more like this on Audible. The first book I have read from this author and was totally absorbed by it. Brilliant reading, as ever, by Sean Barrett. I liked the central character and had great sympathy for him. Not so for his wife! Off to buy another now. 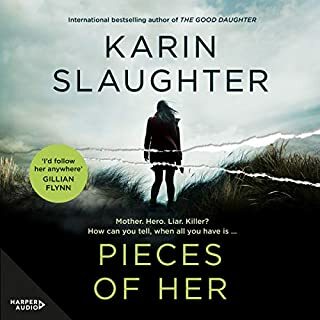 We had never come across this author before, but couldn't wait to finish it, it was gripping,exciting and well paced. Loaned it to my parents, they were listening to it just about all day until they had finished it. Didn't want it to end. will get more by this author. 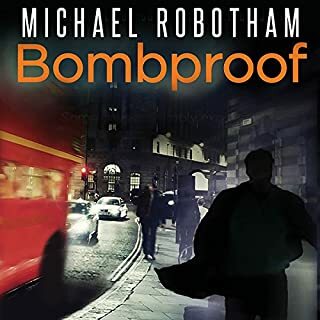 I'm hooked on Michael Robotham ! I chose Shatter after I had listened to Lost by the same author. 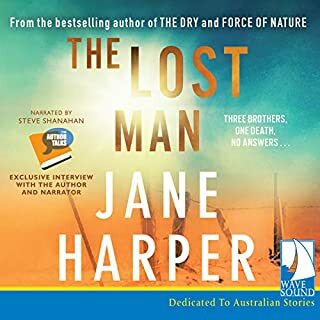 Lost is an excellent read which I would recommend to anyone, this book maintains the very high standard. It has a very solid and plausible plot which keeps you hooked... and guessing ! 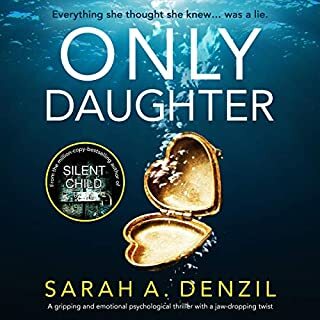 I agree that it is a gripping book which you just can't put down, I would thoroughly recommend it. I am now off to find my next Michael Robotham book !! Un-switch-off-able! Disturbing in so many ways, yet compelling listening. 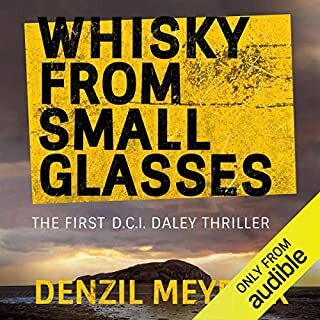 My first listen from this author, and it won't be my last. Although I could guess what was going to happen, this gave it a sense of distressing inevitability, rather than boring predictability. This book had me gripped from the start. The story didn't always take the turns I wanted it to and is pretty chilling. 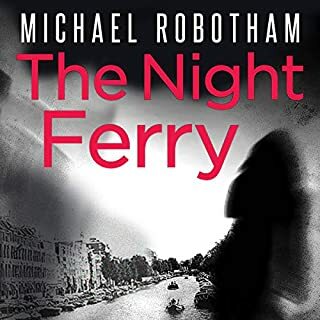 This was the first Michael Robotham book I have read - it will certainly not be the last. 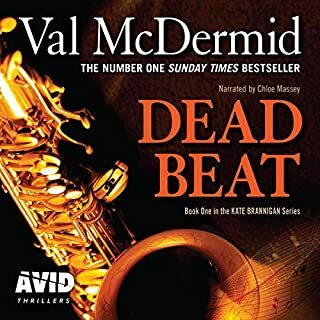 My first audible title and turned out to be a great selection from the vast number of those available. It had me gripped from the first minute and kept me wanting to listen to more each time I pressed the play button. Story was excellent as was the narration. I felt for the innocent and wanted to get my hands on the 'baddy'.